Does the Review Replies Have a Relation to Paid Search Performance? Mastering the art of online reviews can be a challenging task. If you want to convey your commitment to providing exceptional customer service, you have to ask for reviews, be specific about how you ask, and also regularly respond to reviews. The bottom line is that it takes a lot of hard work to manage your online reputation and garner positive feedback. So, is it worth to put all the hard just to receive better reviews from your users? And can responding to reviews really lead to better paid-search conversion rates and eventually more sales? A popular digital marketing agency, Location3 conducted a study over the period of 32 months, studying more than 32,000 reviews, and 16 months of historical AdWords campaign to understand if there is a correlation between quality of user reviews and replies to paid search performance. It was discovered that positive and higher ratings have a direct correlation with higher paid search performance. Not surprisingly, the study also reveals that the higher the star rating is, the higher the conversion rate grows. Reviews with the average of 3.31 stars had a conversion rate of 10.42%. Reviews averaging 4.96 stars had a conversion rate of 12.83%. This means that there is almost 23% increase in the conversion rate! But, does the frequency of review replies have a relation to paid search performance? Yes, it was discovered that there is a strong correlation between review replies and the paid search conversion rate. While its a long known fact that responding to customer reviews (both positive and negative) can potentially highlight your dedication to quality customer service, the above study clearly depicts that customer reviews have a positive correlation with improved conversion rates for pay per click management services. But merely having reviews isn’t enough; your users want to see you interacting with reviews, addressing complaints, and thanking clients. Responding to reviews is a critical tool in a complex, competitive, search engine marketing environment. 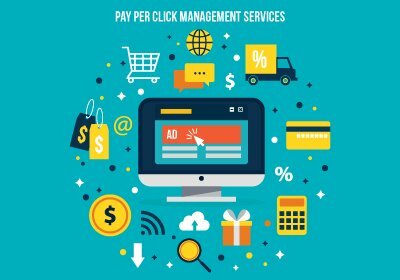 If you’re struggling to control online reputation issues, this is where having an experienced pay per click management service partner on your side can help. Feel free to reach out for advice; whether you need to understand sponsored ads, or pay per click ads – everyone needs guidance once in a while.